Located 3 Miles North of The Loop. Lake View, or Lakeview, is located in the city’s North Side. It is bordered by West Diversey Parkway on the south, West Irving Park Road on the north, North Ravenswood Avenue on the west, and the shore of Lake Michigan on the east. The Uptown community area is to Lake View’s north, Lincoln Square to its northwest, North Center to its west and Lincoln Park to its south. The 2010 population of Lake View was 94,368 residents, making it the second largest of the Chicago community areas by population, following Austin which has 98,514 residents. Lake View, though, has a higher population density than the larger (area-wise) Austin neighborhood. 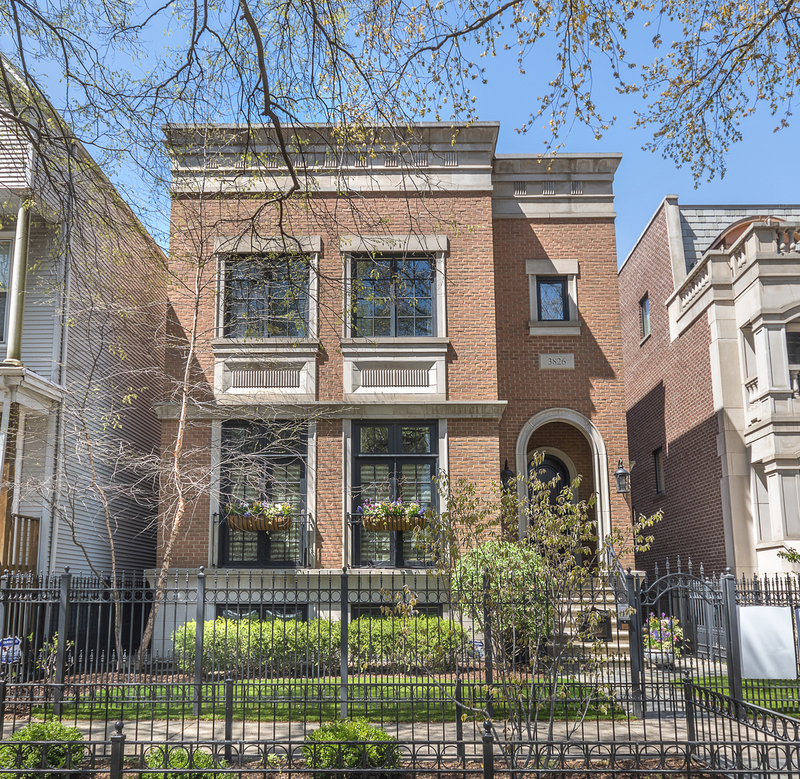 Lake View is unofficially divided into smaller neighborhood enclaves: Lakeview East, West Lakeview and Wrigleyville. Lakeview East contains the district known as Boystown, famous for its large LGBT population and the pride parade held each June of every year. Wrigleyville, another popular district, surrounds Wrigley Field, home of the Chicago Cubs. New Town, a name for the area centered at the intersection of North Clark Street and West Diversey Parkway, was a commonly encountered appellation in the 1970s and 1980s. 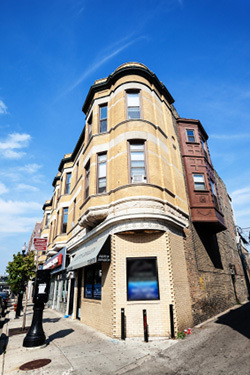 The Northalsted Merchants Association is centered on the North Halsted Street strip between West Belmont Avenue and West Irving Park Road on Halsted. Lakeview East is territorially defined by its chamber of commerce as the area between North Clark Street and North Halsted Street to the west, West Grace Street to the north and West Diversey Parkway to the south, bounded by North Lake Shore Drive to the east. Most of Lakeview East area (west of Broadway) is often considered colloquially as Boystown, the pre-eminent gay, lesbian, bisexual and transgender community of Chicago. Some Lakeview East streets are decorated with rainbow flags indicative of that population. Lakeview East is notable for its Jewish population and has three synagogues, Anshe Sholom B’nai Israel (Modern Orthodox), Anshe Emet Synagogue (Conservative), and Temple Sholom (Reform and largest synagogue in the Chicago area). Lakeview East, especially along the Lake Shore Drive and Broadway corridors, consists of upscale condominiums and higher-rent mid-rise apartments and lofts. Small businesses, boutiques, restaurants and community institutions are found along North Broadway and North Halsted Street. Gentrification, diversification and population shift have changed Lake View, with many businesses expanding northward of West Belmont Avenue. Larger businesses such as Whole Foods have moved into the neighborhood, and enclosed shopping centers such as Century Shopping Centre have been created. Another shopping center has included such tenants as Michaels, Marshalls and Designer Shoe Warehouse. Historic churches remain preserved as integral parts of the community, such as Lake View Presbyterian Church and Saint Peter’s Episcopal Church. Our Lady of Mount Carmel Church is the residence of an episcopal vicar and auxiliary bishop of the Roman Catholic Archdiocese of Chicago. It is also the mother church of the local vicariate and the Archdiocesan Gay and Lesbian Outreach, controversially created by Cardinal Joseph Bernardin, which is one of the largest of the few gay, lesbian, bisexual and transgender Catholic welcoming congregations created and authorized by a diocese in the United States. 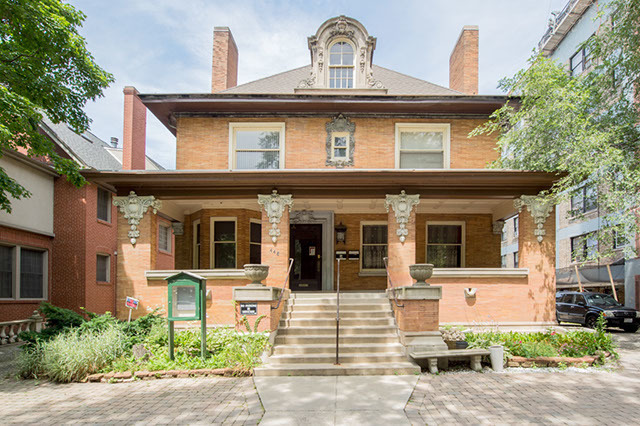 Two residential neighborhood organizations are included in the Lakeview East area. Belmont Harbor Neighbors comprises the area bounded by West Belmont Avenue, North Halsted Street, West Addison Street, and Lake Michigan. South East Lake View Neighbors encompasses the area bounded by West Diversey Parkway, North Halsted Street, West Belmont Avenue, and Lake Michigan. North Halsted, also called Northalsted by its business association, is a smaller area within the Lakeview East boundaries, bordering the adjacent Wrigleyville enclave. While Boystown has been used as a colloquial name for all of Lakeview East, some reserve the name for the more specific area along North Halsted Street. It holds the distinction of being the nation’s first officially recognized gay village. In 1998, then Mayor Richard M. Daley endeavored to create a $3.2 million restoration of the North Halsted Street corridor, and the city erected rainbow pylon landmarks along the route. In 2012, the Legacy Project began the on-going process of installing plaques on the pylons that commemorate important people and milestones in LGBT history. North Halsted caters to Chicago nightlife, featuring more than 60 gay, lesbian, bisexual and transgender bars, restaurants and nightclubs. The North Halsted area is now home to Center on Halsted, a GLBT community center. A building that provides affordable housing for senior citizens with an emphasis on GLBT seniors will be built next to the Center on Halsted. Held on the last Sunday of each June, the Chicago Pride Parade, one of the largest gay pride parades in the nation, takes place in Lake View. The community area has also been host to several other major events: In 2006 it played host to an international sports and cultural festival, Gay Games VII, with its closing ceremonies held at Wrigley Field and headlined by Cyndi Lauper. Formerly a working-class neighborhood, Wrigleyville is the nickname to the neighborhood directly surrounding Wrigley Field. Officially known as Central Lakeview, Central Lakeview’s borders run from Diversey Parkway and Irving Park Road, to Halsted Street and Racine Avenue. Wrigleyville features low-rise brick buildings and houses, some with rooftop bleachers colloquially called Wrigley Rooftops where people can purchase seats to watch baseball games or concerts that, while generally more expensive than tickets for seats within the park itself, come with all you can eat and drink service. Proprietors are able to do so under special agreements with the Chicago Cubs organization. Many Wrigleyville bars and restaurants (particularly on North Clark Street) feature sports-oriented themes. Bars such as Sluggers, Murphy’s Bleachers, Casey Moran’s, Rockwood Place, Sports Corner and The Cubby Bear host the Cubs crowds near the Wrigley Field intersection of North Clark Street and West Addison Street. A majority of Lake View’s public transportation needs are met by the Chicago Transit Authority, which provides resident and visitor access to the Red Line, Purple Line and Brown Line services of the Chicago Elevated railway rapid transit. The two major Lake View rapid-transit hubs are Addison Station and Belmont Station. The Chicago Transit Authority also operates numerous bus routes in Lake View, the busiest being those running along North Lake Shore Drive with express services to downtown Chicago, including the Loop, via North Michigan Avenue and its Magnificent Mile. Bus routes entering and leaving Lake View include those designated as 8 Halsted, 9 Ashland, 22 Clark, 36 Broadway, 77 Belmont, 134 Stockton–LaSalle Express, 135 Clarendon–LaSalle Express, 136 Sheridan–LaSalle Express, 143 Stockton–Michigan Express, 144 Marine–Michigan Express, 145 Wilson–Michigan Express, 146 Inner Drive Express, 147 Outer Drive Express, 148 Clarendon–Michigan Express, 151 Sheridan, 152 Addison, 154 Wrigley Field Express and 156 LaSalle. Private entities also offer many transportation services. I-GO and Zipcar have several locations in Lake View. Private companies offer trolley and bus services to certain destinations in the city from Lake View. Taxi and limousine services are plentiful in the Lake View area, as well as non-traditional modes of transportation. Bicycle rickshaws can be found especially near Wrigley Field. Bike paths are also available on some major streets. For those who prefer to walk or run, manicured walking and running paths are found throughout the community area, with a special path designed for Chicago Marathon training along the lakefront.